Two Days Only! Get extra Summer Savings. 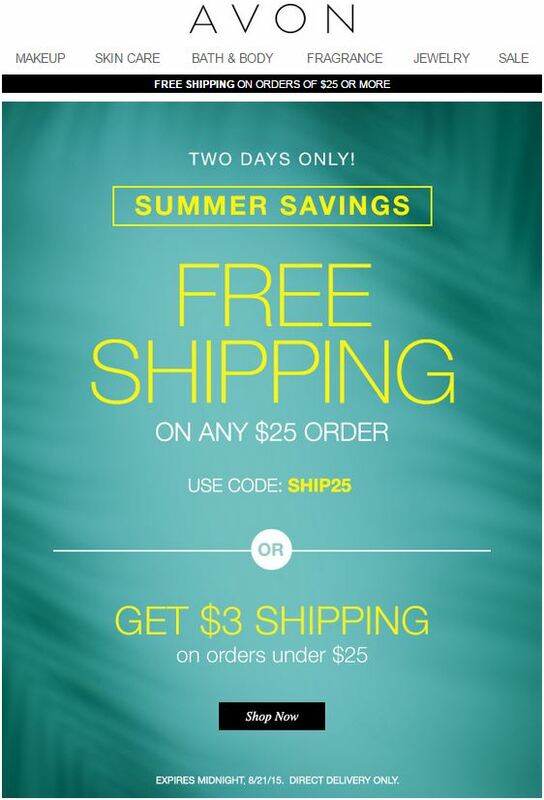 Enter Avon Coupon Code SHIP25 at checkout and get FREE SHIPPING on any order over $25.00. Offer expires on midnight, August 21, 2015. Valid for Direct Delivery Only. Click Here to start shopping and saving.